Health Gorilla Clinical Network provides clinical data interoperability in order to securely connect all doctors, clinicians and patients in Puerto Rico with hospital systems as well as all diagnostic labs and imaging centers to improve state health delivery system network. “We're excited to partner with the Puerto Rico Primary Care Association Network to help them achieve seamless and secure sharing of records, test results, and other information across their care ecosystem," stated Steve Yaskin, CEO of Health Gorilla. Health Gorilla (http://www.healthgorilla.com), provider of a nationwide clinical network that solves healthcare interoperability issues and drives better consumer health, announced recently that the Puerto Rico Primary Care Association Network (PRPCAN) has selected the company’s secure Clinical Network as their data exchange platform. “PRPCAN began searching for a clinical communication platform that was compliant with the ONC and would allow providers in Puerto Rico to exchange healthcare information and improve their quality of care. 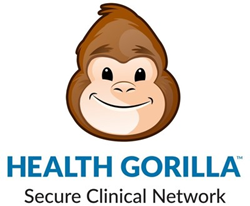 After weeks of research, we found Health Gorilla, a clinical network that could securely exchange clinical information from laboratories, imaging centers, hospitals and any EHR using industry standards (HL7, LOINC, DICOM, CCDA, FHIR and others). Since 50 percent of the providers do not have an EHR, most must use the fax as their exchange platform; some can use the internet and others do have EHRs. The beauty for us is that Health Gorilla can manage all of these media and securely connect everyone in our current healthcare ecosystem. Health Gorilla allows our providers to communicate and exchange relevant clinical information securely with other providers in many settings: health systems, hospitals, patients, LTC facilities, and shelters, if there is a disaster. All of this can be accomplished from a cell phone, tablet, laptop, or desktop computer,” Mr. Jimenez added. “We're excited to partner with the Puerto Rico Primary Care Association Network to help them achieve seamless and secure sharing of records, test results, and other information across their care ecosystem," stated Steve Yaskin, CEO of Health Gorilla. "The healthcare industry has many pain points in its delivery process, and most can be tracked back to data and communications issues, both simple and complex. Our Clinical Network has become a key driver in the revolution of today’s healthcare delivery by effectively connecting the entire continuum of care within a single, universal and secure platform. Health Gorilla has been working for years to close communications gaps and interoperability issues across the medical community that demands seamless, automated communications and a single point to view entire medical history for all citizens,” Mr. Yaskin added. The Health Gorilla Clinical Network™ is a unique clinical interoperability solution for all healthcare organizations and clinicians, interconnecting all affiliated members: hospital systems, ambulatory providers, service facilities, sub-acute centers, diagnostic labs, imaging centers, SNFs and patients. Health Gorilla is fully HIPAA-compliant and ONC certified and is available via mobile devices through Health Gorilla apps, which allows both medical professionals and consumers to securely access its full features while on-the-go. In addition, consumers can obtain their medical records accumulated over their lifetime and have them stored in one location. With Health Gorilla, consumers are able to claim their records in ten minutes or less, creating a comprehensive health history that they can access, as well as securely share with others. This gives physicians and other care givers accurate patient data at the point of care to improve diagnostics and enhance preventive care, while giving consumers full control over their health information. Health Gorilla's nationwide Clinical Network connects doctors, vendors, and patients within a single, secure interoperability platform – creating a closed loop of communication and transforming how care is managed. Health Gorilla automates clinical data aggregation, including hospital admissions, transfers, discharges, social and family history, plan of care, referrals, lab results, imaging and medications to compile entire patient chart into a universally interchangeable CCDA format for physicians, medical facilities and patients, which provides better communication between all parties involved, and leads to better communication and an overall healthier population. Health Gorilla is HIPAA-compliant and MU2-certified and is available online or on-the-go. To join the clinical network and redefine what quality care means, visit http://www.healthgorilla.com. With a strategic work plan covering 2016-2019, the PRPCAN works with health centers to achieve the significant use of the electronic medical records (EHR) certified by the ONC. In addition, enabled by technology as a tool, the centers facilitate the adoption of strategies to improve the quality of care. Finally, it is instrumental in the exchange of health information (HIE) to strengthen the quality of care and improve the health outcomes of patients throughout Puerto Rico.